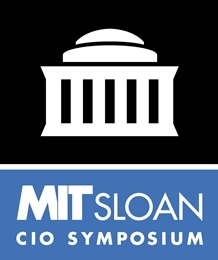 MIT Sloan Boston Alumni Association - 15th Annual MIT Sloan CIO Symposium: "Up your Digital Game from Vision to Execution"
15th Annual MIT Sloan CIO Symposium: "Up your Digital Game from Vision to Execution"
The time for merely thinking digital has passed; the future belongs to the doers. Successful enterprises have embraced digital and are continuously redefining their vision and improving their execution. Several reports indicate that the gap is widening between companies that have advanced digital capabilities and those that do not. This year’s Symposium will help you Up Your Digital Game from Vision to Execution. The focus is on excellence. Learn from MIT academics, leading CIOs and senior executives, and industry experts about shaping a clear vision that encompasses emerging and evolving technologies like AI, big data, IoT, cybersecurity, blockchain, and cloud. Moreover, learn how to effectively realize that vision by building a digital organization that scales and implements new business models by navigating complex ethical and economic issues, developing platforms, managing hybrid IT and business talent, establishing cross-functional partnerships across your organization, and capitalizing on agile and DevOps. This year’s Symposium will enable CIOs to set clear objectives for their organizations and empower CIOs to plan and implement more strategically. The Symposium also provides opportunities for learning, engaging, and connecting with global technology and innovation communities so that CIOs will be ready to return to their organizations and drive digital success.